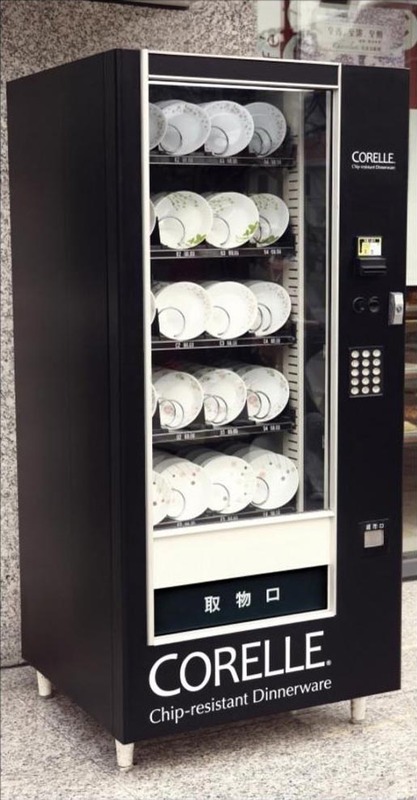 World Kitchen in China promoted the USP (unique selling proposition) of Corelle chip resistant dinnerware by placing the product in vending machines. 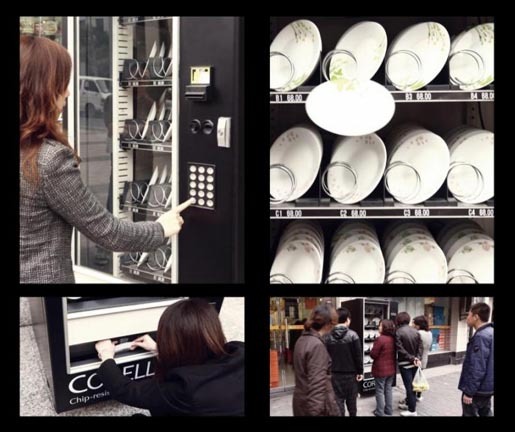 Passersby were able to purchase a plate of their choosing and then watch as it dropped, delivered without cracks or chips. The Dinnerware campaign was developed at Grey Group China, Shanghai, by executive creative directors Chee Guan Yue and Attlee Ku, creative director/copywriter Rocky Hao, art directors Marx Zhu, David Yang and Kevin Ji, copywriter Celia Zhang, photographer Wang Feng at Elephoto, agency producer Betty Yu, account supervisor Janet Shao, working with World Kitchen marketing manager DongYun Tang.